Fans of the Palme d’Or-winning Uncle Boonmee Who Can Recall His Past Lives will surely remember the name Weerasethakul, whose newest feature is a portrait of a guesthouse on the river dividing Thailand from Laos, populated by ghosts and fragments of lives. 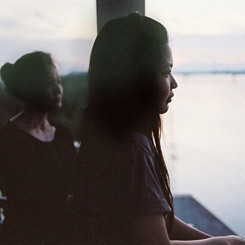 The story is studded with actors from Weerasethakul’s earlier features, often referencing their previous roles and making Mekong Hotel a special treat for fans of the director’s other work; but this film stands alone for its enchanting portrayal of reincarnation and innocent love amidst a torrent of violence. Screens with Apichatpong’s short film Sakda (2012).